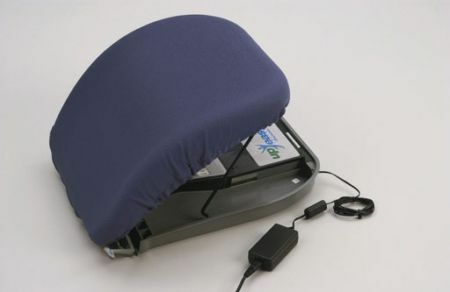 The Upeasy Power Lifting Cushion 100% Lift For Users. The Upeasy Power Lifting Cushion can easily transform any armchair, or sofa into a riser chair. It provides 100% lift for users and, due to the non-slip base, it can be safely used in recliners. Weighing just 5.4kg, this power cushion has a built-in carry handle, which makes it extremely portable. The Upeasy Power Lifting Cushion is an affordable alternative for those who need a riser chair, or a portable accessory for those who already own one. 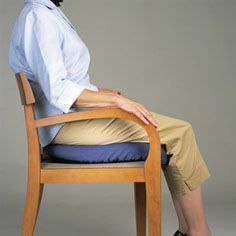 Suitable for people who need assistance to sit or stand due to insufficient upper or lower body strength. To operate the seat, simply flick either of the power levers up, and then place your hands on the chair arms while you are being lifted, the cushion will stop automatically when it reaches its maximum height, or can be stopped by gently pushing the lever down. The levers are detachable, enabling the seat to be operated from either side. Supplied with a machine washable blue cover that may be wiped clean with a damp cloth.